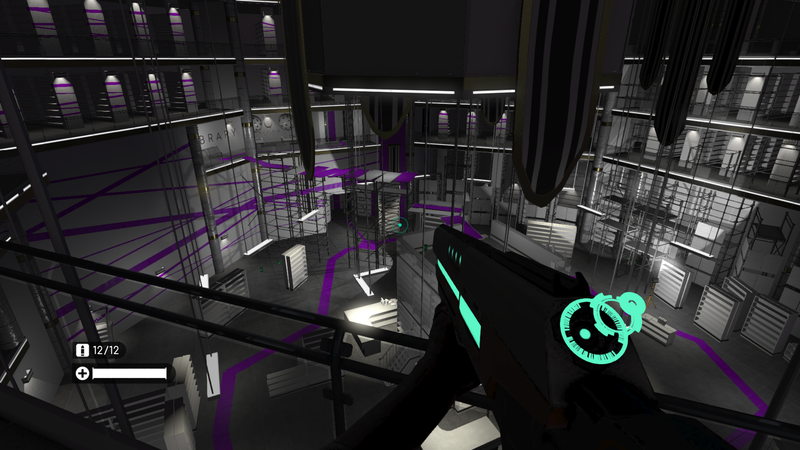 Project Seven is an FPS game my team Quantum Games made together. You are project seven… will you make it? A great project where I took the opportunity to learn Houdini to make sprites to out particles. This is our own game engine, read more about it from the links at the bottom of this page. 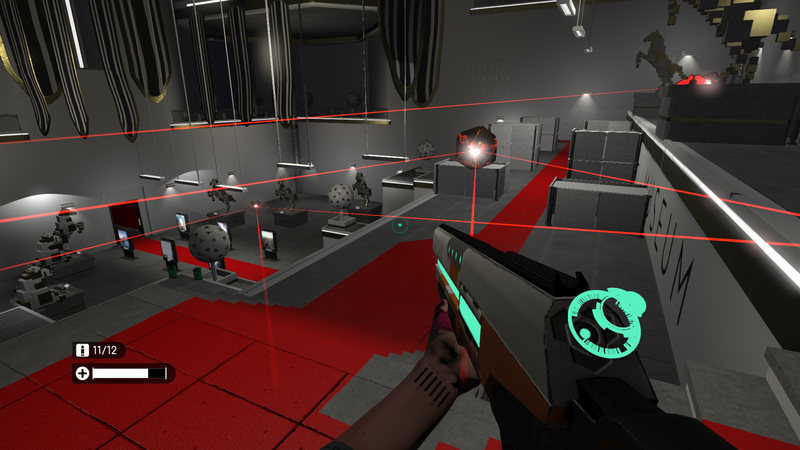 Download the game at indiedb.com! When Artists have new content to update they use the batch files I made to update Stable Build from there working folders. Tool for Artists. 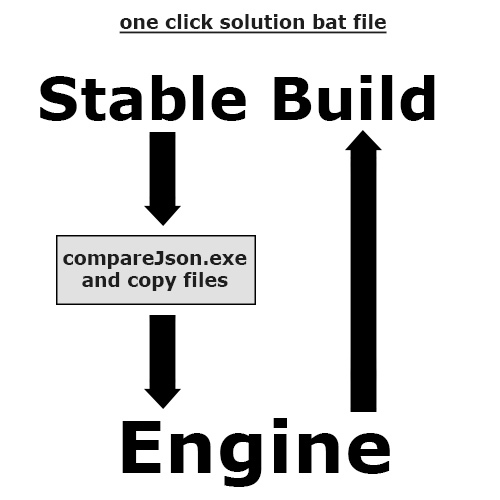 I also made a batch command to copy updated Artist content to Engine and then copy it back again with updated Engine files. Tool for Programmers. 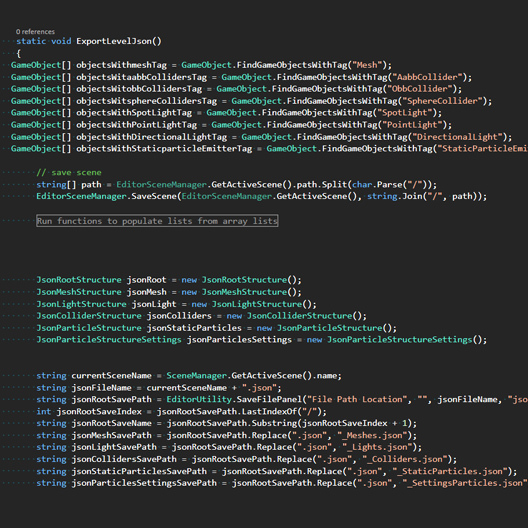 The tricky part was to not overwrite json files but update json files if the variables didn’t exist before. 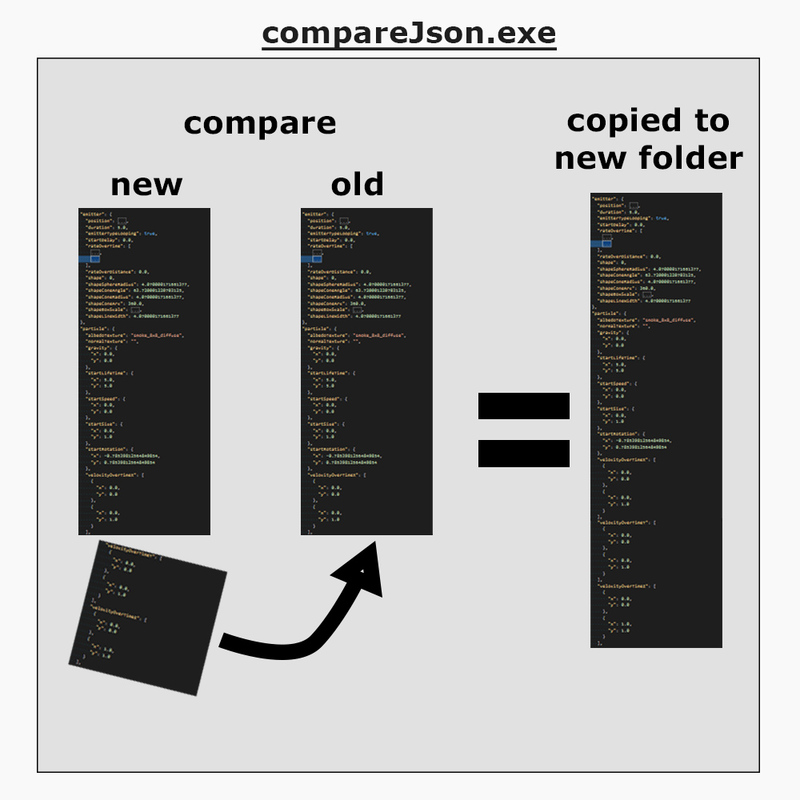 So with a small program made in C# Visual Studio it did compare all json files and if variable didn’t exist, it added it and copied with additional variables. 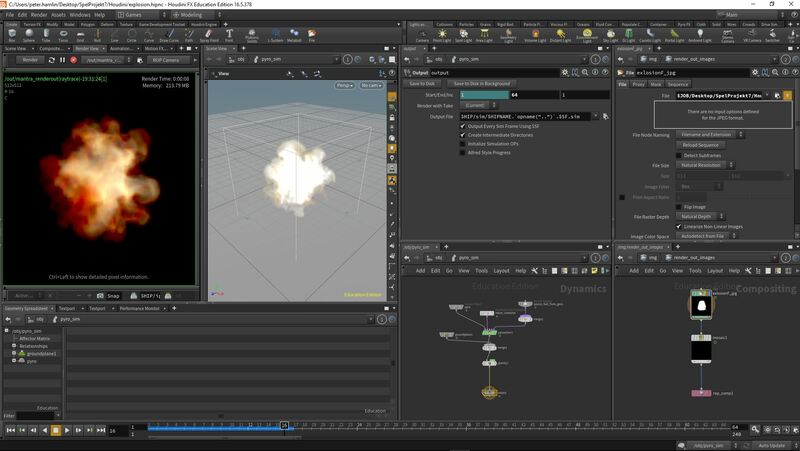 So in Project Seven, we didn’t have any Particle Editor, so we decided to use Unity as particle editor. I got the job to export all the variables we needed. 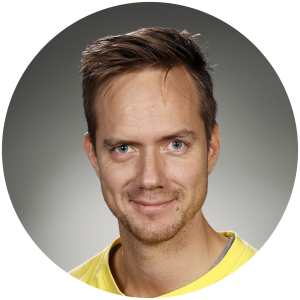 So Johan Anderdahl gave me a list of variables to export. 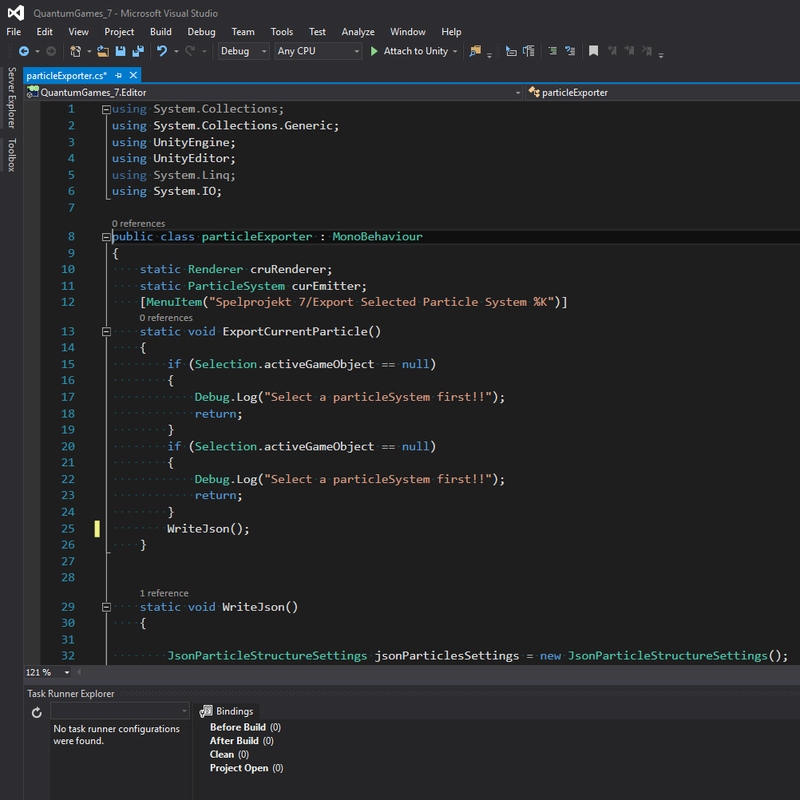 So with C# and json I made an exporter with Visual Studio. 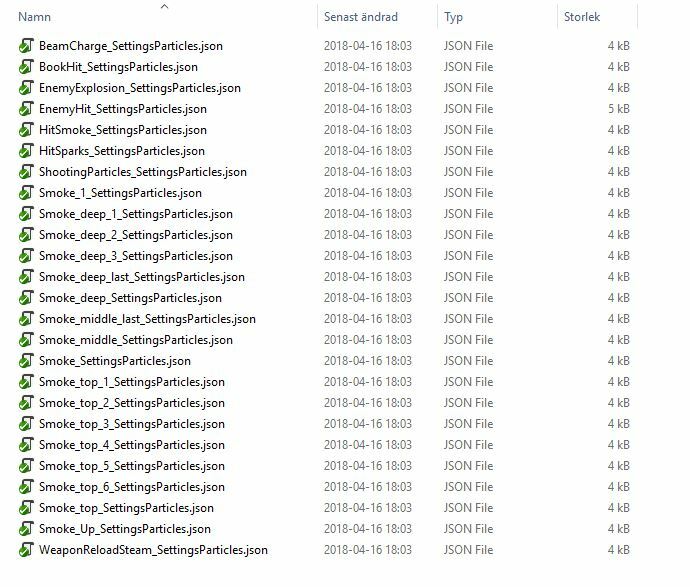 Johan made our awesome particle implementation in game engine! 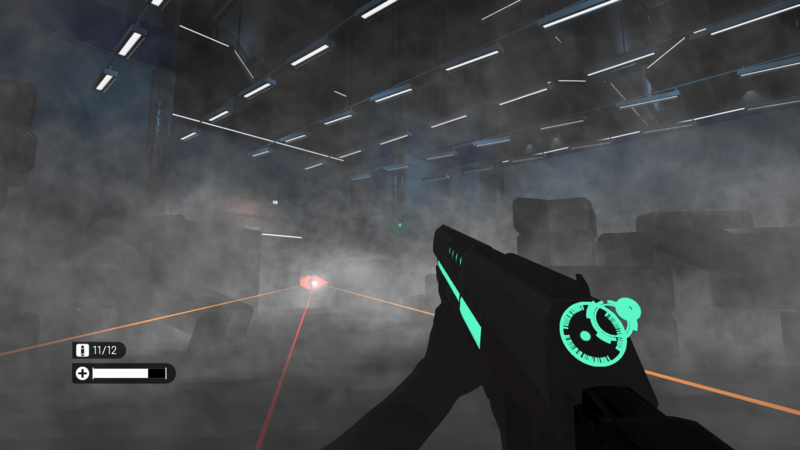 I made particles in Project Seven. In this gif, you can see actually eight of them. I made the sprite sheets in Houdini and Photoshop. 3. On hit smoke puff. Same texture for smoke, in last room. 5. On enemy hit sparks. 6. Enemy explosion, it’s looping in the flipbook. I really love Houdini, and that’s where I learned to make flipbooks and have 99% of the workflow inside Houdini! Super flexible to render out changes. Made some last tweaks in Photoshop if needed. This is one of the fastest but also one of the biggest time-saveing Research I had. We experienced a not so optimal workflow at our previous project where multiple people needed to work on the same scene at the same time. That made it very messy in the end. There were some Ideas to work in layers or some kind of tag system. 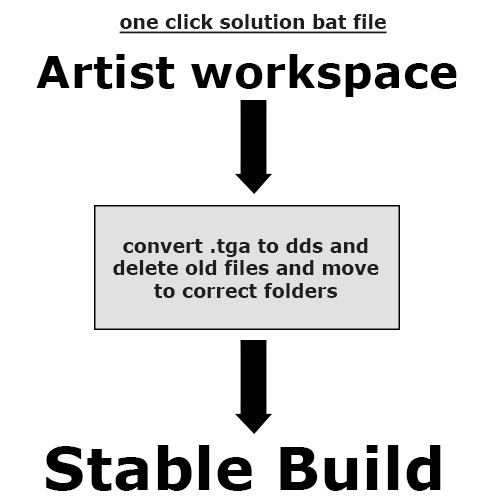 But Unity not so long ago added a workflow to solve this. So during the last days, up to five persons worked in the same Chamber at the same time over svn. We saved a lot of time with this! We reused the tool I made in the last project. the NavMesh Exporter. A tool for Level Designers. read more about it here! We reused the path tool in this project! A tool for level designers and Artists. Read more about it here! We also updated the level export script from the last project. Me and Marcus Stein developed it even further and tweaked it to our needs. We both added features when needed. A tool for Level Designers. Made in C#. My Level Designers uses Unreal Engine as well. So they missed a function from Unreal that they wanted in unity. It’s a snapping tool when you drag models into the editor window. In Unreal it rounds up and snaps the x,y,z position to the nearest whole number. Unity doesn’t so I made that tool. Instead of 10-15 seconds for each drag and drop, in took 0.5 sec. Timesaving! Here you se two drags. One without the tool to manually set the position to a snapping value that’s ten seconds without to calculate the snapping values!!. 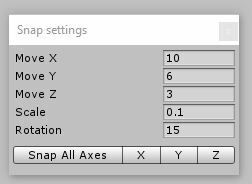 The second drag and “ctrl+x” to snap to match the Snap settings in Unity. a half second!.